Because I noticed that most of the visitors that stumble upon this blog, arrive here by searching for the Strokes and ahem, Juliet Casablancas, I thought that this post would be somewhat as my treat for you guys, seemingly because it lies on the same line of interest, no? Levy is a New York rock group fronted by James Levy (Lee Vee). So far the band has released two albums to their credits: the criminally overlooked 2005 Rotten Love and the recently released, Glorious. We frequently hear bands writing songs about their deepest, most private, personal life, disguising the resent and secrets behind obscure lyrics, covering it up with pretty melodies. 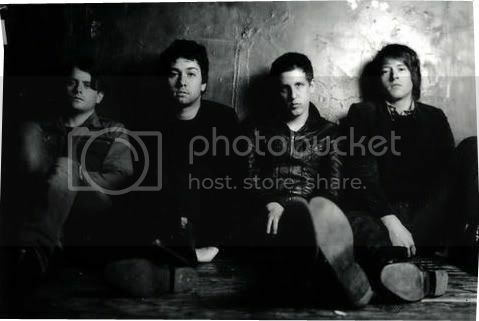 But buried deep under the compositions of frontman James Levy, is a bitter tale of a love triangle, involving Levy’s former girlfriend, Regina Spektor, and yes, you’ve guessed it, the Strokes lead, Julian Casablancas. When Levy talks about Regina choosing Julian, he speaks about an inevitable romance. When the Strokes invited Regina to open on their Room on Fire tour, Julian was the rock king of New York; it's hard to imagine how anyone could resist that allure.